Progress on smart interconnected devices and sensors allow access to large amounts of real time information coming from multiple sources, allowing reaching new levels of awareness and creating opportunities for new applications. Motivating engineering PhD students to look into the potential of this new wave of research is a crucial element in their education. 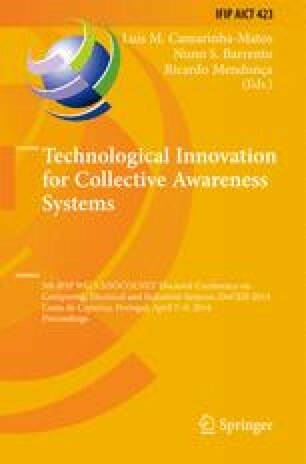 With this aim, the doctoral conference DoCEIS’14 focused on technological innovation for collective awareness systems, challenging the contributors to analyze in which ways their technical and scientific work could contribute to or benefit from this paradigm. The results of this initiative are briefly analyzed in this chapter.